Shopping for Captain America Bed and Bath? Steve Rogers has one of these in his bathroom. 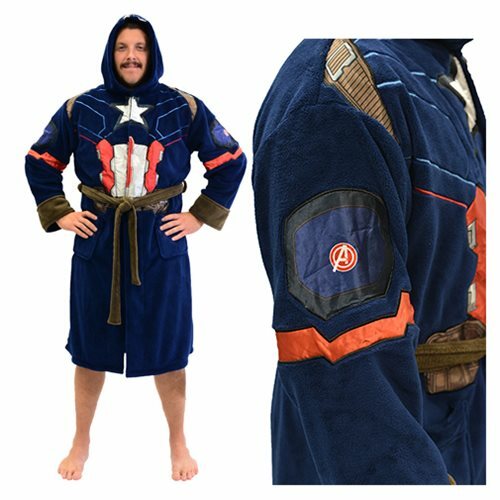 Made of 100% polyester fleece, this comfy 46-inch long Marvel Captain America Civil War Hooded Fleece Bathrobe sports 29-inch sleeves. It features a hood, a belt, and Cap's easily recognized patriotic Captain America: Civil War graphics. One size fits most. Ages 15 and up.